Regionally, Europe dominated the market and is projected to reach USD 192.79 million by 2023 at a CAGR of 4.45% from 2017 to 2023 in terms of value. Asia Pacific is also considered to be one of the attractive markets for the global cocoa fillings manufacturers and is projected to grow at the CAGR of 4.99% from 2017 to 2023. On the basis of ingredients, cocoa beans segment will dominate the global cocoa fillings market and is projected to reach USD 161.34 million by 2023 at a CAGR of 4.48% in terms of value. On basis of application, bakery & confectionery segment dominated the global cocoa fillings market and is projected to reach USD 165.05 million by 2023 and will register a healthy CAGR of 4.46% during the forecast period. On basis of distribution channel, store-based segment dominated the global cocoa fillings market and is projected to reach USD 328.10million by 2023 and will register a healthy CAGR of 4.54% during the forecast period. To study detail of global cocoa fillings market by ingredients, by application, by distribution channel and by region in forecasted period 2023. 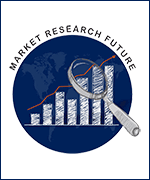 To identify the market dynamics of global cocoa fillings market dynamics by drivers, restrains, opportunities and challenges.